Camping Calatella in Tuscany offers 266 flat grass pitches for campers, caravans or tents. 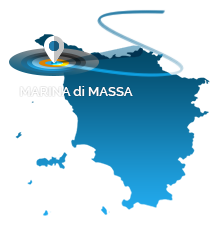 All the pitches at Camping Calatella in Marina di Massa are well shaded and equipped with electric hook-up. The Campsite also offers long-term stay pitches, for those who wish to spend a long period at our facility on a trailer with a porch.